Medical Coding, Medical Billing | STAT MEDICAL CONSULTING, Inc. Prevent your cash flow from becoming a flat line! Is it taking your office more than 4 days to be paid on claims? Do you have more than a 5 % error ratio on claims? CALL US IMMEDIATELY at (800) 906-STAT (7828) WE CAN HELP! 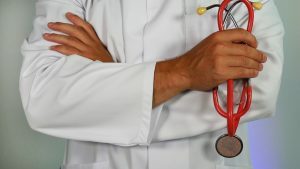 From outpatient ambulatory surgery centers , to solo practitioners, large medical groups, hospitals, and Governmental Agencies- such as Federal ,State or County STAT MEDICAL CONSULTING, Inc. provides medical billing for professionals that need to maximize physician reimbursement. Our professionals have over 24 years of taking care of ethical, accurate, and efficient medical billing services. 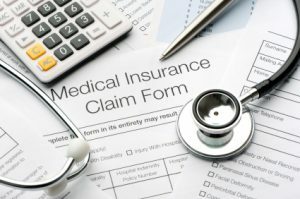 We want our clients to get the most money back they can from insurance providers and we do this by following every step of medical billing and having the expertise and experience in billing that is needed. Within the last few years, there have been significant changes in the rules and regulations that medical coding and billing companies must fulfill. We are fully compliant in everything we do because under HIPAA we are officially “business associates” of our health care clients. This means we never disclose private information, take significant precautions with client information, and protect the integrity of our client. One of the most immediate ways you can influence your company’s income is to make sure you file claims as quickly as possible. When you hire us for your medical billing, we promise to adhere to a strict 24-hour turnaround for filing. Also, we have the strength and capacity to provide our client with flexible evening and weekend hours for patient inquiries. Also, we offer full electronic support for CMS 1500 and UB-04 forms. We also file direct and use nationwide clearinghouses to submit electronic claims to all insurers. This means you get the money you deserve quickly. We get claims paid accurately and timely. Especially if you have a small practice you don’t have the time or resources to hire, train, and supervise a medical billing staff. Free up your own time to focus on patient care by outsourcing medical billing. Not only do we increase your income, we handle your patient’s billing questions on your behalf. Contact us today to learn more about our medical billing services. We are able to assist practices nationwide but are located in Encino, CA. Myth You lose control of the income. Fact A reputable billing company would have their eye on your income more so than an employee since their income is directly tied to performance and results. Your participation in reviewing receivable reports and statistics are entirely up to you. Participation in providing accurate and complete billing information will enhance your income. A physician and billing service need to work together to make sure your needs are met. Myth All billing companies are the same. Fact Whereas the processes are similar and the goals and objectives are the same, you want to look for a company with experience, an excellent reputation, and a proven track record. Do not minimize the importance of customer service and availability both to you and your patients. "Hiring Stat Medical has proven to be the best decision I have made for my practice"
"Hiring STAT generated $200,000 after we had been paid. We were amateurs at insurance billing. STAT are pros." Secrets of a Beverly Hills Cosmetic Surgeon.